Note: This visiting professorship has been converted to a permanent full-time chair, commencing Fall 2018. The Gerald Sheff Chair in Architecture is Kiel Moe. The Gerald Sheff Visiting Professorship in Architecture was made possible by a gift of one million dollars to the School by Mr. Gerald Sheff, B.Arch. 1964, in the Fall of 2005. The University subsequently matched the gift in 2008. The endowment funds a visiting design professor focussed on stimulating innovation and professional excellence through teaching, public speaking and research. Sheff's firm, Gluskin Sheff and Associates, is a current supporter of the School, having funded the Gluskin Sheff Travelling Scholarships in Architecture. Gilles Saucier graduated from the School of Architecture at Université Laval in 1982. Soon after he established the Montreal architectural firm Saucier+Perrotte architects, a multidisciplinary practice internationally renowned for its institutional, cultural, and residential projects. As Design Partner, he is responsible for the design integrity of all projects, with specific attention given to architecture’s connection to geology and the landscape. Since 1989, Mr. Saucier has been a visiting professor and a guest critic at several Canadian and American universities, including MIT in Boston, the University of Toronto, the Université de Montréal, and McGill University in Montreal, the University of British Columbia, the University of Calgary, the Technical University of Nova Scotia, and Seattle University. 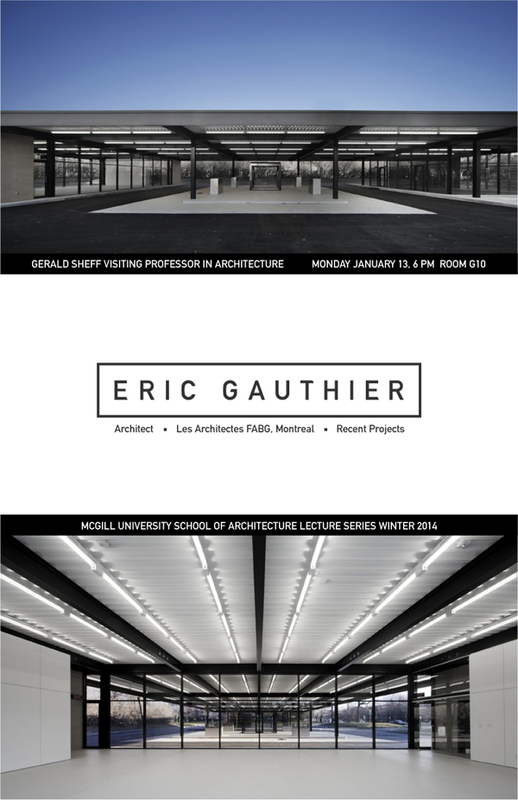 In addition to lecturing extensively in North American universities, Gilles has been invited as a guest speaker for AIA Seattle and San Francisco as ell as for the Canadian Centre for Architecture, the New York Architectural League, and the “Séminaire international Phyllis Lambert” at the Université de Montréal. In 2004, his firm represented Canada at the prestigious Architecture Biennale of Venice. In 2014, Gilles Saucier and his partner André Perrotte were the first recipients of the nex Prix du Québec for design and architecture, the Prix Ernest-Cormier. Beginning in 2002, the Canadian Centre for Architecture began archiving a large selection of drawings and models produced by the firm. A graduate of the University of Waterloo School of Architecture, Thomas Schweitzer worked as a registered architect for twenty years in the office of Dan Hanganu Architects before joining Ædifica Architecture and Design in 2006. He has participated actively in the development of a wide range of award winning projects including Pointe-à-Callière Archeological Museum, HEC, Cirque du Soleil, the Centre d’Archives de Montréal and the abbey church of Saint Benoît du Lac, as well as a number of limited competition entries for projects in many countries including Germany, Portugal, Switzerland, Belgium, China, the United States, and Canada. His experience includes embassies, museums, theatres, convention centres, exhibition halls, university buildings, libraries, hotels, a concert hall and a number of major multi-use complexes including housing, retail and office space. Several of these projects have been sited in challenging urban contexts, and have included both new buildings and adaptive reuse of existing structures. He has worked on several projects for the reconstruction of Haiti, including schools, university buildings, a hospital and the head office of a private investment bank. He has designed a wide range of social housing and affordable housing projects in Montréal including the award winning Station no 1. These projects combine varied typologies and configurations to create small communities anchored within their urban contexts. For ten years, Thomas Schweitzer was a studio instructor in architecture for final-year students at the School of Design, UQAM. He frequently acts as a critic, and has been invited to architectural schools in Canada, United States, and France. As an avid traveller, he has visited and experienced many works of contemporary and traditional architecture in more than 35 countries. Howard Davies is a founding member of Atelier Big City which was formed in 1987 with Anne Cormier and Randy Cohen. Atelier Big City has pursued design work founded upon a re-interpretation of the built urban landscape, investigating through the re-configuring of urban typologies, material assemblage, programmatic combinations, and a desire to blur the limits between architectural space and landscape. There is a desire for the playful, for an architecture that enables us to climb and walk on. The form of the city is seen as accumulative, without beginning or end, in constant mutation. The group was awarded the grand prize of the Order of Architects of Quebec in 1994 for their Interpretation Centre in Pabos, Québec and the Prix de Rome from the Canada Council in 1999. 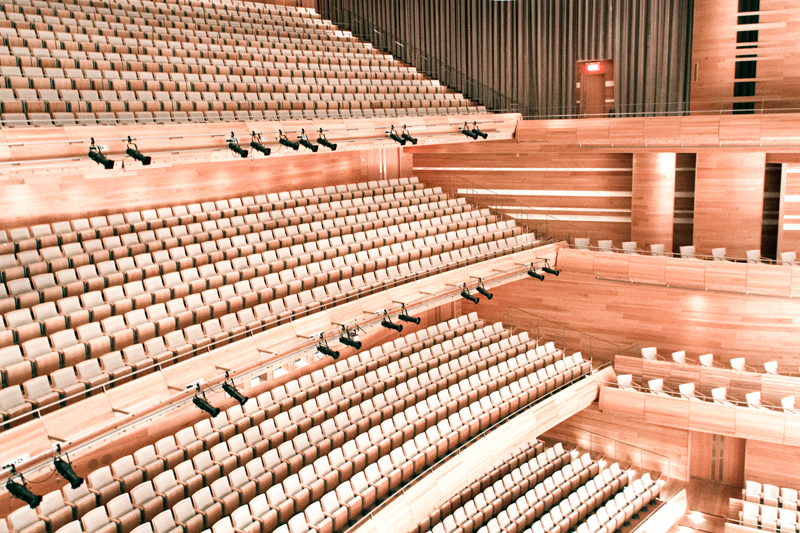 In 2002 they were awarded a special jury prize for their entry in the Terrebonne Theatre Competition, and they won a limited competition for the design of a new entry for Montreal’s principal arts centre, Place des Arts. Recent awards include the 2006 IDM award from the Landscape Architecture Institute and, also in 2006, the Governor General’s Medal for the U2 housing project in Montreal. In 2008, they received a Prix d’Intégration Architectuale from the City of Montreal. In 2016, Atelier Big City was awarded the 9th edition of the Grand Prix du design. Toni Casamor and studio BCQ arquitectura barcelona (www.bcq.es) work to make the world a better place. They strive to make our cities more human, sustainable and efficient. They also aim to allow the natural environment to change in the most sensible and intelligent way. To achieve these objectives, they create architectural and urban projects that combine sensitivity and intelligence with the environment and they aim for excellence in the financial organization of real-estate initiatives. The final goal of creating projects is to make them real. For this reason, BCQ considers the quality of their construction techniques, materials and buildings to be of utmost importance. Toni Casamor set up BCQ with David Baena. Today BCQ arquitectura barcelona has become an international firm specializing in architecture, landscape and urbanism projects. Toni Casamor has developed wide teaching experience in national and international schools of architecture, including teaching Architecture and Urban Planning at ETSAV and ESARQ (Barcelona, Spain), being an Assistant Professor at the ETH (Zürich, Switzerland), a Lecturer in the Landscaping Master’s course at ETSAB (Barcelona, Spain), a Guest Professor at the Anahuac del Sur University (México City), an Associate Professor at the Facoltà di Architettura di Alghero (Sardinia, Italy), and a Lecturer at the Delft School of Architecture (The Netherlands). Toni Casamor has been invited to speak about his work at national and international venues in Switzerland, Mexico, Chile, Italy, Germany and the Netherlands, and his projects have been included in numerous international architecture publications. The work of BCQ arquitectura barcelona is a product of the recent urban and architectural development of the city of Barcelona. BCQ has recently won the First Prize of Premis Ciutat de Barcelona, the Premis Catalunya Construcció, with the St. Gervasi-J. 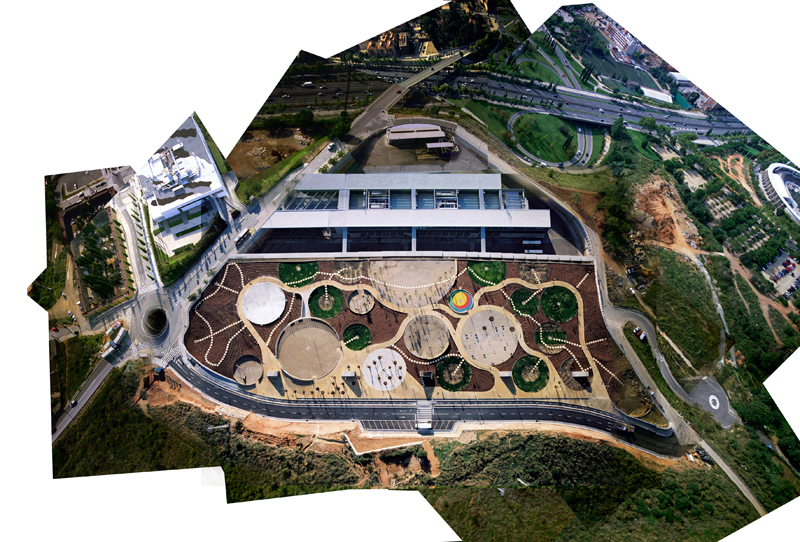 Maragall Library, and the MIPIM Awards 2013 Best Industrial & Logistics Development with the Wastewater Treatment Plant project. In addition, BCQ won first prize at the 2002 AJAC Awards (Association of Young Catalan Architects) and the first prize in the 2nd Vallès Architecture Biennial 2003. Outstanding among BCQ’s works are the buildings and urban design for the Marina in Sant Adrià del Besòs Fòrum Barcelona 2004, the Plaza Vila de Madrid in Barcelona (2003), the municipal Sports Hall in Olot, Girona (2010), and the Offices Building in Old City, Barcelona (2011). Current BCQ projects are under construction in Barcelona (e.g. St. Gervasi-Joan Maragall Library), and BCQ is involved in different works in Colombia and Switzerland. Inspired by the global-orientation fostered by Montreal’s Expo 67, the socially-oriented design studios of Prof. Joe Baker at McGill, and immersion in the regional culture of Newfoundland, Joe Carter (B.Arch. McGill 1973) moved to China almost thirty years ago and has been closely involved in its recent decades of rapid growth and urbanization. He lived in St. John’s, Newfoundland, until 1985 and was a co-founder of Affinities, an award-winning design and construction firm that built energy-efficient homes and renovated heritage houses in the old city. In the height of the historic preservation vs. development debate, he invented Harbour Symphony, a concert of ship’s horns, to increase appreciation of St. John’s amphitheater urban form. This event continues annually and has migrated to Montreal’s Harbour. In 1985 he attended a course on Chinese classical architecture offered for foreigners by the School of Architecture of Tianjin University. The School invited him to come back to teach in 1986. He taught for a few years in Tianjin and then moved to Beijing to work at Zhong Jing, one of China’s first private architectural offices. 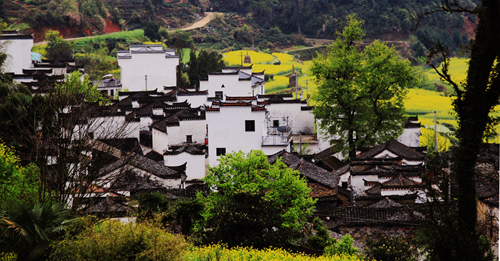 He worked at local Chinese firms until foreign architectural firms started to arrive in the late 1990s. Until 2005, he helped them, winning several international design competitions. In 2006, he established his own firm, Towns Consultants. As the winner of an international competition, Towns was commissioned to do the planning and design for the new 140,000m2 campus of the Central Academy of Drama located in the north of Beijing. Eight of the fourteen buildings are complete and now in use. The remaining six, currently under construction, will be completed in late 2015. As in a “town”, the relationship between the buildings is more important than the individual building design. China has become a vast reservoir of urban development experience, with lessons for the world at large. Joe Carter, and his wife He Hong Yu, Ph.D. Architecture/Urban Planning, Qinghua University, have taken a year off from China to teach at McGill, to share experience and engage in East-West dialogue. They will focus on the planning and design of urban, high-density residential areas. In 1991, she joined a team of bright young recruits at the Beijing Municipal Housing Reform Office, who set about transforming China’s socialist housing delivery system, from accommodation that was delivered by your workplace, to housing that was both individually-owned and a market commodity. She became the head of one of Beijing’s first real estate development consultancies. Disillusioned with some aspects of this process, she withdrew and founded Five Colours Earth Fashion, a firm that created a hybrid clothing combining China’s ethnic minority embroidery and contemporary clothing design. She works closely with her husband, Joe Carter, on his Towns projects, and in recent years has taken up both oil and Chinese ink-and-brush painting. Eric Gauthier joined Les Architectes FABG in 1986 and became a principal in 1992. 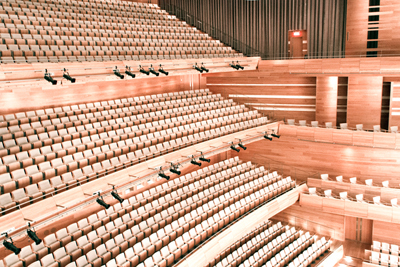 The firm’s architectural production under his guidance has been celebrated by numerous awards including the Governor General’s Medal, fourteen Prix d’Excellence from the Ordre des Architectes du Québec, the Innovation in Architecture Prize from the Royal Architectural Institute of Canada and the Architecture Merit Award from the United States Institute of Theatre Technology. As principal designer and project leader, he collaborated with multidisciplinary teams in the development of several institutional and cultural projects. These include the Caisse de Dépôt et de Placement du Québec headquarters, the Cirque du Soleil headquarters, the Théatre Quat'sous, the Théatre Espace Go, and the Montreal Science Centre, amongst several others. He has also been involved in many successful rehabilitation and adaptive re-use projects such as the Monument National in Montréal, Buckminster Fuller's Biosphere on Île Ste-Hélène, and Mies van der Rohe's gas station on Nuns’ Island, to name a few. His work was recently featured in a retrospective exhibition at the Maison de l’Architecture du Québec as well as at the Centre d’exposition de l’Université de Montréal and will be displayed at the next Architecture Biennale in Venice. 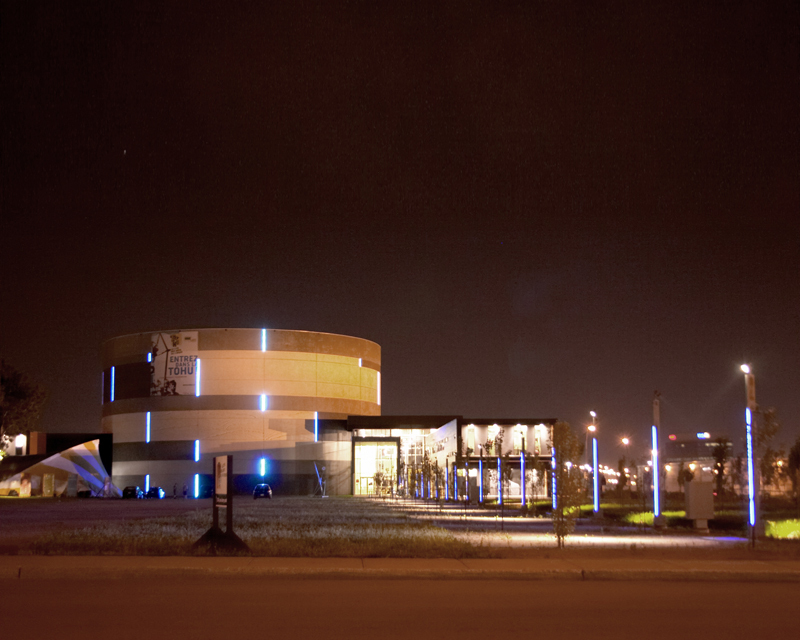 As finalist for the Musée des Beaux-Arts Pavillon 5 and Grande Bibliothèque du Québec architectural competitions as well as author of winning proposals for cultural centres in Verdun, l’Assomption, Victoriaville and Carleton, Gauthier is interested by the investigation of the paradoxically reduced level of freedom offered in these circumstances. The limitations of a technical brief that validates common behaviours and practices and the judgment of non-architects, participating in a jury, are factors that strongly orient the results of this process. Understanding the implications of an architectural culture based on competitions obliges us to redefine the role of architects operating within an increasingly participatory democracy. The studio assignments will offer opportunities to research and test the limits of an architecture produced in this context. 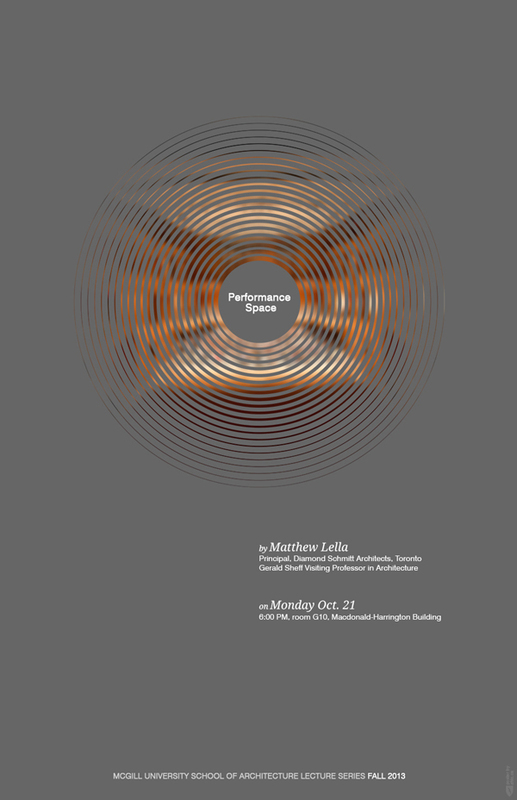 Matthew Lella will join the School of Architecture in Fall 2013 as Sheff Visiting Professor, showcasing his work on architecture for performance. Lella joined the Toronto-based architectural firm Diamond Schmitt Architects in 2000 and became a principal in 2012. The firm has built its practice with a design language that is forward-looking, contextual and socially responsive. 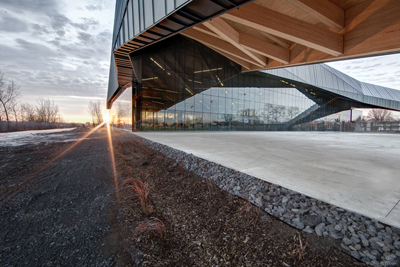 Its portfolio of performance buildings shows a commitment to design from first principles. Diamond Schmitt is now ranked among the top ten firms in the world for the design of cultural buildings. Lella has a Master's in Mathematics in addition to completing architectural studies at McGill (B.Arch. 1992). With an interest in music, he found a natural working relationship with acousticians and theatre consultants. In 2002 he was project architect for Canada's first opera house, the Four Seasons Centre for the Performing Arts in Toronto. His interest in performance spaces continued to develop through collaborations with arts groups, acoustical specialists and theatre designers. The focus of his experience has expanded from technical expertise to the social space and architectural facets that shape theatre design. Following the Toronto project, Lella worked on the design of performance halls in Denver, St. Petersburg, Russia and Hong Kong, among others. He was project architect for La Maison Symphonique in Montreal, which opened in 2011, completing Place des Arts. At McGill, Lella will co-teach in the M1 studio. The goal of the studio is to explore the capacity of architecture to intensify the experience of performance. Thematically, the project will examine the slow imprint of the temporary on the permanent. Performances are fleeting and take place with or without architecture. To this end, the students’ projects will examine the formal patterns that have emerged as different performance traditions have conditioned space. The School of Architecture is delighted to host the Barcelona-based firm Coll-Leclerc as the Sheff Visiting Professors in Architecture for Winter 2013. Coll-Leclerc was founded in 1996 by Judith Leclerc and Jaime Coll. Their built work is the result of public architecture competitions, specializing in research in urban design, public housing and buildings in dense urban contexts. 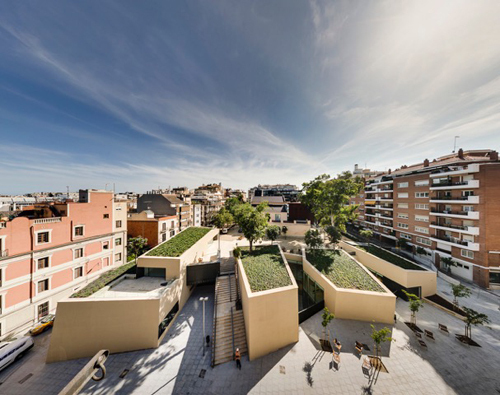 Their most significant work, the Londres-Villarroel Complex in Barcelona, received the National Housing Award, the City of Barcelona Award and the IX Spanish Biennial Award. In 2007 they were selected from 100 international teams by Herzog & de Meuron - Ai Weiwei for the Ordos100 project in China. Coll-Leclerc’s work has appeared in more than 250 articles and has been exhibited in the Venice Architecture Biennale, the Spanish Architecture Biennale, DAM of Frankfurt, Arkitekturmuseet Stockholm, Arc-en-Rêve of Bordeaux, Art Basel, Cité de l’Architecture et du Patrimoine of Paris, and Arizona State University. Judith Leclerc is an architect from Montreal and McGill graduate (B.Arch. 1992). She has lived in Paris and New York, but it is in Barcelona where she established her professional practice Coll-Leclerc with Jaime Coll. They combine professional practice with teaching at the Barcelona School of Architecture and the Barcelona Studio of the University of Calgary. Jaime Coll has a Diploma in Architecture (1989) and Ph.D. (1994) from the Barcelona School of Architecture and was a Fulbright Postdoctoral Research Fellow at Columbia University (1994-96). 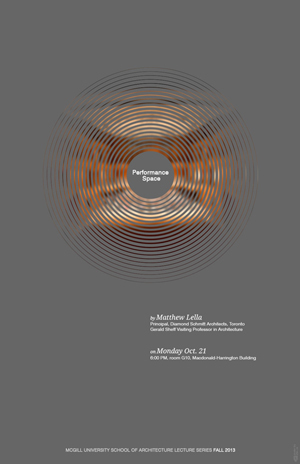 Leclerc will teach in the M1 Studio (ARCH 673) and co-teach a seminar (ARCH 541) with Coll. Both courses will revolve around New Urban Landscapes. Coll and Leclerc will give a public lecture on their work in our public series and an exhibition in the spring. The scope of the M1 studio exceeds the boundaries of buildings and sites to encompass infrastructure, architecture and landscape. The seminar combines these three categories, focusing on three key concepts of new urban landscapes: Logistical Urbanity, Artificial Ecologies and Earth/roofworks. Built work by Coll-Leclerc will also be presented in this pedagogical context. Students in the studio must define conditions leading to the production and management of a project by fully embracing the complexity of “the real.” The city of Barcelona will illustrate an exercise in density and complexity without developing verticalism. By combining three subjects (Architecture, Infrastructure and Landscape, e.g. activities/energy/water), the studio follows a collective design process based on data transcription, moving between the production of physical models and that of precise drawings and diagrams. Generic and specific cartographies are used to describe the space (representation) and the place (its abstract representation or reinterpretation), analyzing its problems and constructing opportunities. 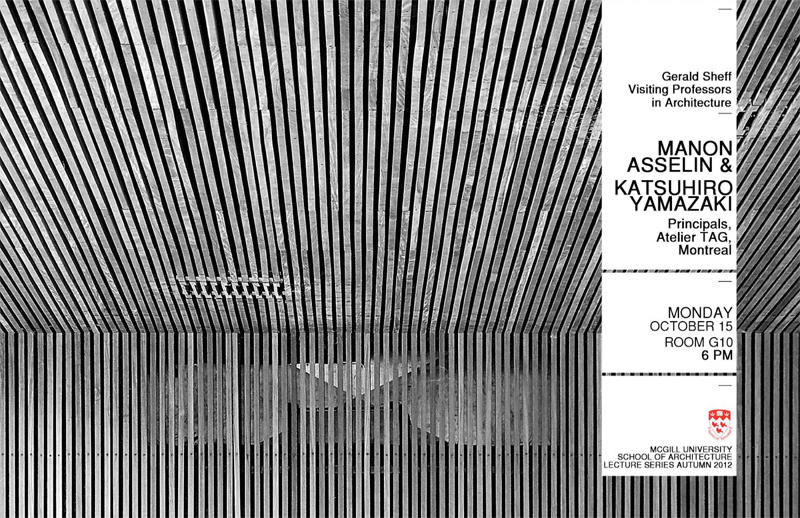 The School of Architecture is delighted to host Atelier TAG’s Manon Asselin and Katsuhiro Yamazaki as Sheff Visiting Professors for Fall 2012. 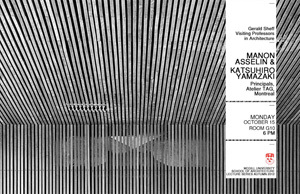 Asselin and Katsuhiro will co-teach the M1 studio (ARCH 672) and present a public lecture on their work in our series. During their semester at McGill University Atelier TAG will explore a series of open-ended experiments centered on the issue of materiality in architecture. Their emphasis will be on process, on experimentation through multiple iterations and on intense production rather than solely on the end product of architectural design. Subverting typical optical and formal approaches to architectural education, this fall’s M1 studio will reverse the usual linear process from design to construction and simultaneously redefine the what and the why of architecture through a rigorous study of the how. This strategy privileges the material properties of structure in “the making” from the very beginning and leads to a re-definition of construction as architecture’s most basic and catalytic condition. This studio methodology also intentionally avoids a traditional simulation of practice, pointing instead to the scientific method of laboratory experiments. All aspects of the studio, from teaching to students’ research and production, will operate as a collective. Atelier TAG is an architecture and research partnership founded in 1997 by Manon Asselin and Katsuhiro Yamazaki in Montreal. The firm’s architectural production has been celebrated with several awards, including two Governor General’s Medals in Architecture in 2006 for the Bibliothèque Municipale de Châteauguay and the Théâtre du Vieux-Terrebonne. In 2007 Asselin and Yamazaki received the Professional Prix de Rome in Architecture from the Canada Council for the Arts to investigate the future of design practices. The project’s goal was to identify architects and their activities as one of the principal agents in the resolution of complex issues that have surfaced as a result of accelerated globalization. Manon Asselin was born in Quebec City March 14, 1966. A graduate of the School of Architecture of McGill University in 1992, she also obtained a post-professional M.Arch. degree (History and Theory) in 2001. She has been Professor of Practice at the Université de Montréal since 2008. Katsuhiro Yamazaki was born in Costa Rica March 09, 1972. Also a graduate of the School of Architecture at McGill University (1996), Yamazaki has over fifteen years of experience in the private practice of architecture. 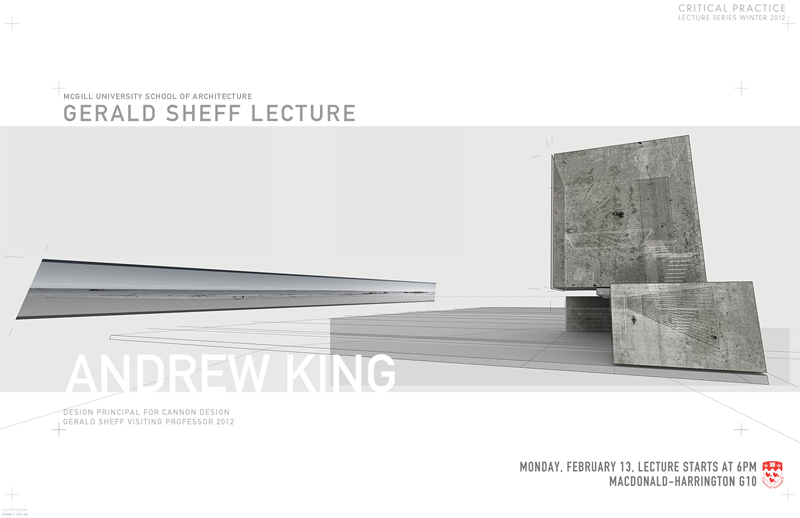 The School of Architecture is delighted to host Andrew King as the Sheff Visiting Professor for Winter and Summer 2012. 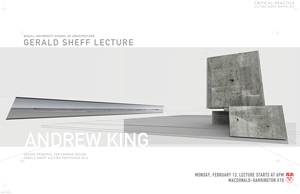 King will co-teach the M1 studio (ARCH 673) and DST studios (ARCH 677), give a public lecture in our series and install an exhibition of his work in the Exhibition Room. King’s Sheff tenure will be framed around the notion of contingent architectures, examining the fluidity of contemporary design practice. King operates in three streams of practice-based research, probing their inherent sympathies and tensions: the production of gallery-based cinematic essays, project-based speculative design research, and large-scale practice. King studied engineering and theatre (Acadia University), and worked as a professional actor before studying architecture (Dalhousie University). King’s first decade of practice was spent in Europe, working in Seville, Budapest and Berlin, where he lived for eight years. He spent a formative mentorship in the office of Zaha Hadid in London. AK A, King’s ongoing research and design collaborative, has a long record of awards, exhibitions and critical recognition in art and architecture journals, including Canadian Architect and Canadian Art. In 2003, King was the Canada Council for the Arts Prix de Rome Laureate, spending a year examining the relationship between exile and identity through the historic and contemporary gates of Rome. The resulting project, ROMALUX, is a speculation on architectural, curatorial and cinematic space, which has subsequently been exhibited across Canada and abroad. The Rome research has evolved into a recognized critical art practice (with partner Angela Silver), commissioned to make in-situ and gallery-based installations at major galleries. Since 2009 King has been Design Principal for Canada at Cannon Design, currently leading teams in Vancouver and Montreal, developing research initiatives and overseeing projects. Most notably for us, he is Design Principal for the Université de Montréal’s new healthcare facility CHUM (Centre hospitalier de l'Université de Montréal), a large, ideologically resonant project currently under construction in downtown Montreal. The theme of the DST studio in May-June 2011 and its accompanying seminars will take advantage of King’s role in the CHUM project and of Cannon’s cutting-edge research on health infrastructure. As Sheff Visiting Professor, King’s contingent architectures will thus unfold as a series of speculations on practice, scale, structure, hybridity, interdisciplinarity, critical methodologies, the virtual, the remote, and the fetish. The School of Architecture is delighted to host Michael Wen-Sen Su as the Sheff Visiting Professor for Fall 2011. 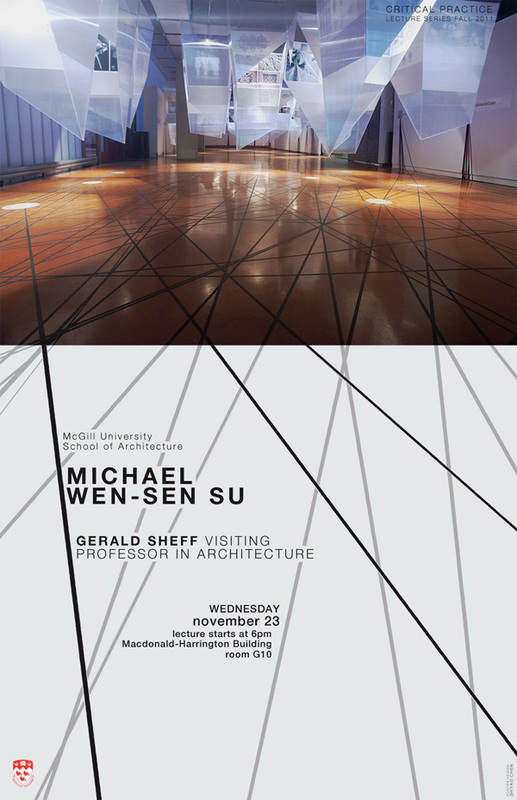 Prof Su will teach M1 studio, ARCH 684 (Contemporary Theory 1), and give a public lecture in our series on November 23. Prof Su’s research and design interests focus on the notion of “Sensory Architecture”, which he defines as architectural practices and theories explicitly accounting for the informational, or data, content of the human senses. “Sensory Architecture” thus construes architecture as the “machinic” synthesis of hardware and software, or most generically, “systems and methods” which organize data through aggregation, feedback, amplification, and adaptation. His work is informed by a distinctive, interdisciplinary education bridging science and architecture, as well as an extensive teaching portfolio. He holds degrees in Plasma Physics from Caltech (B.S. 1994) and Columbia University (M.S. 1996), where he investigated the effects of rotation on the stability of tokamak plasmas. Su then studied architecture at The Cooper Union (B.Arch. 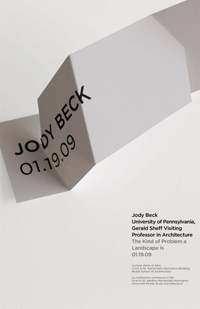 2002), where he produced drawings for Peter Eisenman’s “Palladio Virtue-L” lectures and Giuseppe Terragni: Transformations, Decompositions, Critiques. He then moved to Princeton University (M.A. 2004), where he is now completing a PhD dissertation under Prof Beatriz Colomina on the mode of interchange between science and architecture in the early works of R. Buckminster Fuller. He is also currently a Visiting Professor at the Pratt Institute School of Architecture, where he has been Coordinator and Professor of the Undergraduate Degree Project since 2007. In ARCH 684, Prof Su will revisit how twentieth-century architects and designers theorized the impact of science and technology up to the 1960’s. This course will begin with Fuller’s wholesale import of physical principles into architecture to direct what he termed “comprehensive design,” move to systems theory and cybernetics – as manifested most clearly by the likes of the 2000+ issue of AD and Archigram, and conclude with early experiments to bring CAD into practice. While the course will cover a broad time period, Su will focus on one scientific or technological theme each week, e.g. – relativity, mobility, cybernetics, resource-management (ecology), systems theory (pattern theory), and the space program/arms race. Su hopes thereby to offer students a fresh reading of the period when cross-disciplinarity in architecture invited speculations not on the virtual, but on the all too real. Originally from the Netherlands, Paula Meijerink is a landscape architect and founder of WANTED landscape llc in the Boston area with projects in New York and Amsterdam. She has lectured and published internationally and was Assistant Professor at the Harvard Graduate School of Design until 2010. 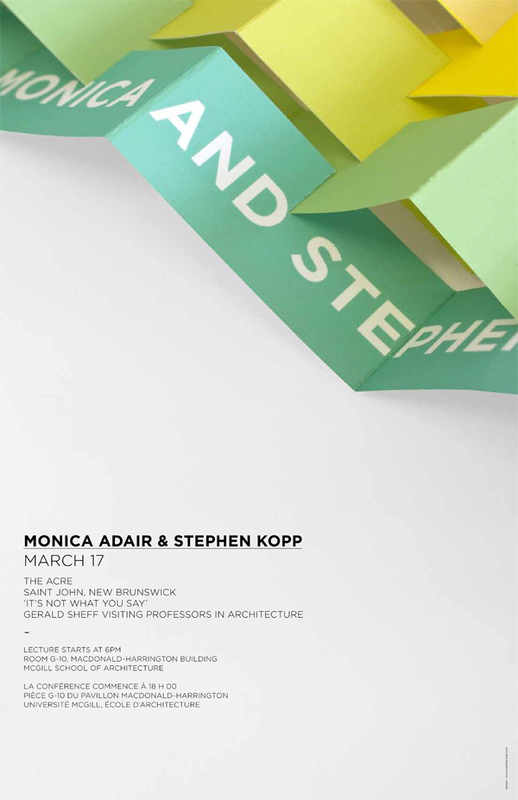 She is currently the Gerald Sheff Visiting Professor in Architecture at McGill University in Montreal. Her engagement in landscape is from a political perspective and she sees the act of design as an agent for change. For example, she initiated On Asphalt, an ongoing effort to inspire cultural change in asphalt spaces as more engaged public landscapes. This effort includes lectures, writings, exhibitions and built projects, and is joined by an increasing number of people. 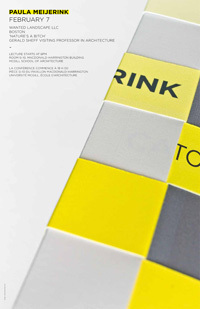 A publication titled On Asphalt was released in 2009. In 2010 she finished a street project in New York and she is currently working on the design of two public parks in Boston. Her built work and essays are published in Tank, 2G Dossier, Hybrids, Only With Nature, and Reading the American Landscape. Meijerink received her ING from Larenstein in The Netherlands, she studied philosophy at the University of Utrecht and received her Master in Landscape Architecture degree from the Harvard Graduate School of Design. She was lead designer and principal at Martha Schwartz’s office in Cambridge. 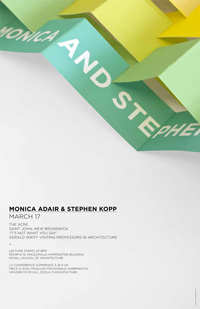 In the Winter 2011 term, Paula will teach ARCH 673 Architectural Design 2 in the professional M.Arch. studio (M1). Philippe Lupien est architecte membre de l’Ordre des Architectes du Québec et architecte paysagiste membre de l’Association des Architectes Paysagistes du Québec. Il a cofondé l’agence Lupien+Matteau en 2007 et était auparavant associé de Schème depuis 1995. Il a dirigé des ateliers en architecture et en design urbain à l’école d’architecture de l’Université de Montréal entre 1998 et 2006 et en design de l’environnement à l’Université du Québec à Montréal entre 2006 et 2010 à titre de professeur invité. Au sein de sa pratique, il développe la notion de la transdisciplinarité et vise à instituer une méthodologie qui permette de regrouper autour de préoccupations communes, des disciplines diverses et parfois étrangères l’une à l’autre. Cette attitude favorise des champs d’interventions multiples qui vont de la scénographie muséale au design urbain en passant par le paysage muséologique et se prête naturellement aux principes de l’architecture durable. Mentionnons à ce titre le projet de la TOHU dont il était le chargé de design principal. La diversité de la nature des récompenses dont il est récipiendaire fait preuve de la multiplicité des points de vue que cette méthode permet de cultiver. La TOHU a reçu entre autres, deux prix en design architectural et paysager de l’IDM , un prix de l’innovation architecturale de l’IRAC (Royal Architectural Institute of Canada) un prix orange de l’organisme Sauvons Montréal, un Brownie award pour la réhabilitation des brownfields, et un prix Phoenix en environnement. Ce projet de complexe circassien a été le premier édifice culturel au Canada à recevoir la certification LEED or en 2004. Présente dans le champ de la scénographie culturelle où elle tente d’introduire la conscience du lieu et l’importance de la mise en espace dans la constitution du sens, la firme Lupien+Matteau a reçu en 2009, le prix d’excellence de la Société des Musée du Québec pour l’exposition Tombes Éternelles du Musée Canadien des Civilisations dont elle a assuré la mise en espace et le Oustanding Achievment Award de la Canadian Museum Association pour le festival Karsh storyteller, projet d’exposition, de parcours urbain et de présence web. Preuve de son engagement pour la promotion d’une plus grande qualité architecturale dans le quotidien, Philippe Lupien est membre du CCU de Rosemont la Petite-Patrie depuis sa fondation, il a été membre du comité de rédaction de la revue ARQ, il anime depuis 2003 une émission hebdomadaire sur l’architecture résidentielle au Québec intitulée Visite Libre diffusée sur les ondes d’Artv, Télé-Québec et TV5 monde et participe à de nombreux jurys professionnels. Il a reçu en 1996 le prestigieux Prix de Rome du Conseil des arts du Canada. Maria Mingallon is a chartered structural engineer with a degree in architecture. Her main research interests are focused in complex geometries, emergent technologies, form finding and biomimicry. She graduated in 2005 in Civil Engineering in Spain at UCLM and obtained a scholarship to complete her studies at Imperial College. She has worked at Arup since graduating as a Structural Engineer. Among other projects, she has designed two footbridges leading to the Aquatics Centre by Zaha Hadid Architects at the London 2012 Olympic Park. In 2008 Arup sponsored her master degree in Emergent Technologies and Design at the Architectural Association from which she graduated with Distinction. She has taught at the Architectural Association as a visiting tutor. In the Fall 2010 term, Maria will teach ARCH 678 Advanced Construction to the professional M.Arch. class (M1). Ian Chodikoff, editor of Canadian Architect, in the preface to the 2009 publication Twenty + Change 02 states: “Based in Saint John, New Brunswick, [an] inspirational practice is The Acre Collective who has produced several small-scale projects that display a rare sense of ‘delight’.” The book and its associated touring exhibition presents the acre as a notable emerging Canadian design practice, featuring their design for a small wine bar patio set within the historic district of Saint John. The idea of the acre collective started on a rooftop in Brooklyn, where a group of artists, writers, thinkers and designers realized that – together – they could contribute more significantly than any one of them working alone. Conceived as a fresh and flexible way to tackle projects and ideas, the collective brings together the right team for the right project. Founders, partners and team corrallers are architects Stephen Kopp & Monica Adair, graduates of the University of Toronto. At the core of the group’s philosophy is an understanding of the unique opportunity that creative collaboration offers for the exploration of new ideas and the achievement of new outcomes. The acre is an art, design and architecture practice that believes in the power of playfulness as a key to successful architecture, or at least, as a fulfilling practice. After two years of working in the Education Lab in the New York office of Skidmore, Owings & Merrill, Monica and Stephen returned home to Canada to pursue more local projects. True to form, since their return both have worked as project architects on their own respective hockey arenas for the Saint John firm Murdock & Boyd Architects. In 2008, the duo’s design for the renovation of Hampton Elementary School was awarded New Brunswick’s Lieutenant-Governor’s Award of Excellence in Architecture. Their most recent honour includes winning a Canada-wide public art competition for the new Saint John Transit headquarters building. 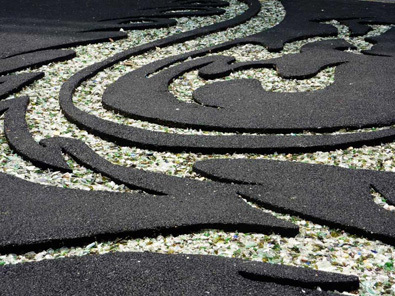 Their design, titled “in transit,” was unveiled in December 2009, and it is a 90-meter-long sculpture that reinterprets the language of the road. They are currently working on a summer house in St. Andrews, NB with collective member, McGill alumnus and architect, John Leroux. When asked, Stephen and Monica say their upcoming projects include risk, adventure and a prototype for Maritime modular housing. 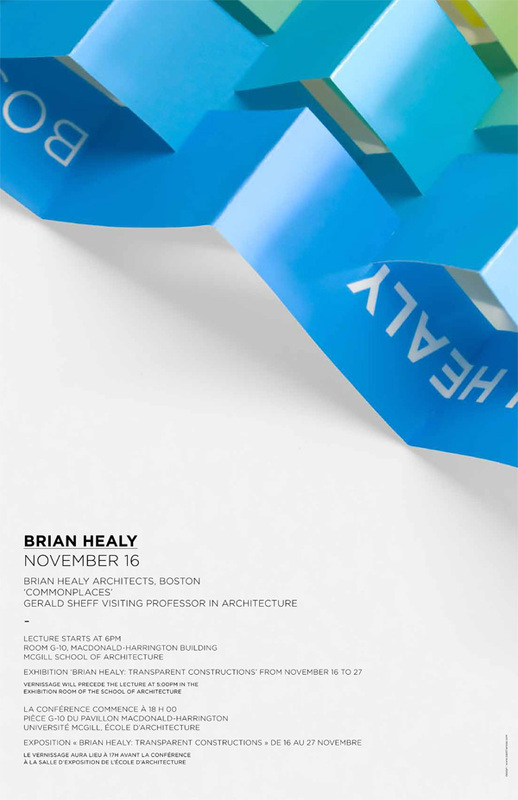 Brian Healy was educated at the Pennsylvania State University and the Yale School of Architecture where he was Editor of Perspecta 19: the Yale Architectural Journal. He worked in the offices of Cesar Pelli and Richard Meier prior to establishing his practice in Boston in 1986. He was the 2004 president of the Boston Society of Architects and a member of the Design Advisory Panel for the Rose Kennedy Greenway in Boston, Massachusetts. Brian Healy Architects received first place in the competitions for the Mill Center for the Arts in Hendersonville, North Carolina (2005), a Children’s Chapel and Community Center at the Korean Church of Boston (2004), and Chicago’s Design Competition to Redefine Public Housing (2000). BHA were finalists in competitions to design the Edward M. Kennedy Institute for the Senate in Boston, Massachusetts (2008), the Civic Center in Lake Elsinore, California (2007), the Intergenerational Learning Center on the Southside of Chicago (2003); Innovations in Community Design and Housing for Long Beach, California (2003), and the Visitor’s Center for Frank Lloyd Wright’s Darwin Martin House in Buffalo, New York (2001). 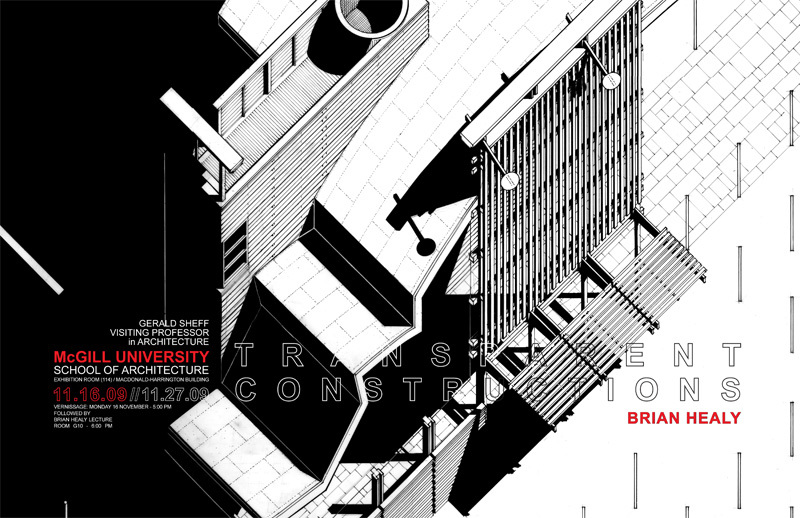 Brian was selected for inclusion in the Emerging Voices Series of the New York Architectural League (1999); the Forty under Forty compilation of emerging architects and designers (1996); and the Young Architects issue of Progressive Architecture (1990). The firm’s work has received recognition for design excellence from the Progressive/Architecture Design Award Program, Business Week/Architectural Record, the Boston Society of Architects, the New England Society of Architects, the New York American Institute of Architects, the New Jersey Society of Architects, and I.D. Magazine. The projects are also featured in the monographs: Commonplaces: Thinking about an American Architecture published by ORO Editions (2008), and Brian Healy by Casas International (2000). Other publications include Abitare, Global Architecture, GA Houses, Architecture Magazine, Architectural Record, Architect, Dwell, Progressive Architecture, The New York Times, The Boston Globe, Chicago Tribune, Esquire, and TIME Magazine. Brian has taught architectural design at the Yale School of Architecture, Harvard’s Graduate School of Design, the Massachusetts Institute of Technology, the University of Pennsylvania, the University of Michigan, the University of Florida, the University of Virginia, Pennsylvania State University, the Rhode Island School of Design, Dartmouth College, and Amherst College. 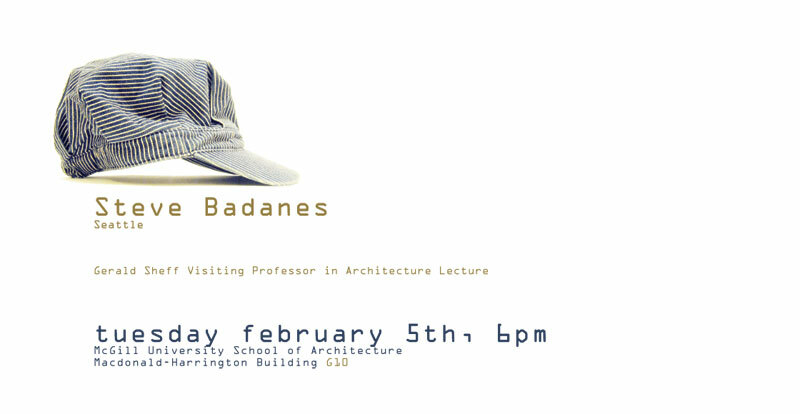 He was the Ruth and Norman Moore Visiting Professor of Architecture at Washington University in Saint Louis, the John G. Williams Visiting Professor of Architecture at the University of Arkansas, and the Distinguished Visiting Professor in Architecture at Roger Williams University. He is the recipient of fellowships for residency at the American Academy in Rome, the MacDowell Art Colony in Peterborough, New Hampshire, and Dorland Mountain Art Colony in Temecula, California. He received the Dinkeloo Traveling Fellowship from the Van Allen Institute and the William Wirt Winchester Traveling Fellowship from the Yale School of Architecture. He was the Visiting Artist in Residence at Amherst College (2007) and the Cameron Visiting Architect at Middlebury College (2008). Jody Beck is a registered architect, the Vice President of the Association for Community Design, and a candidate for a PhD in the history and theory of architecture at the University of Pennsylvania. He has worked on building typologies ranging from corporate skyscrapers to healthcare institutions to small-scale commercial and residential renovations – though what time he has been able to dedicate to design in recent years has been focused on urban-scale competitions. As Vice President of ACD, he is currently co-organizing a conference to be held in the fall of 2008 in Phoenix, AZ which will focus on innovative ways of producing affordable housing. His dissertation focuses on three projects by John Nolen and how the political ideals he brought to his landscape architecture and city planning practice guided his understanding of how the urban landscape would operate in social and political terms. In the broadest terms, he is interested in the political content of landscapes. 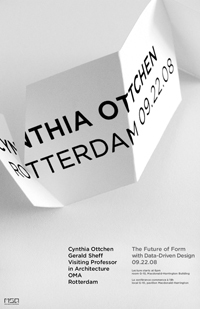 Cynthia Ottchen is a registered architect and a published author. She most recently directed Research and Innovation for the Office for Metropolitan Architecture in Rotterdam, the Netherlands, where one of her roles was to explore and develop new design methodologies (including parametrics) and form strategic collaborations for the office. 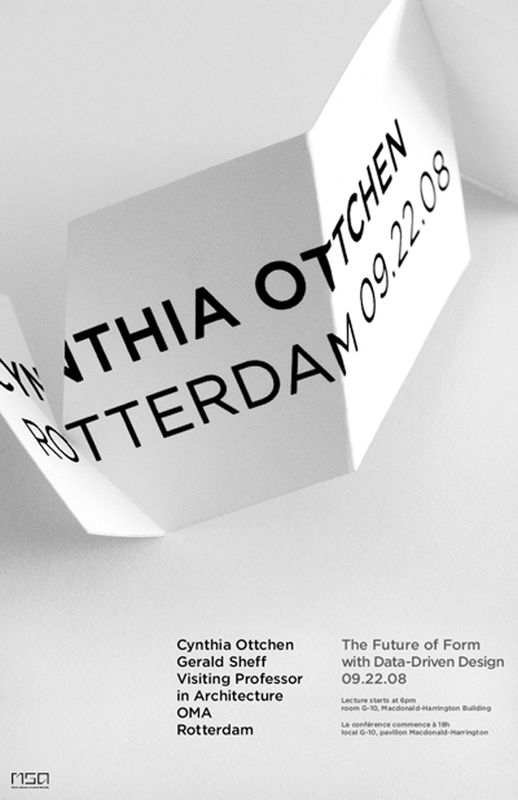 An American with European parentage, Cynthia received her Master of Architecture from Rice University. After graduation she spent some years gaining practical experience working on buildings by Phillip Johnson, Cesar Pelli and Robert A.M. Stern and then furthered her interest in theory with postgraduate studies in the History and Philosophy of Architecture at the University of Cambridge, England. Her research at Cambridge focused on new modes of thought in the Enlightenment, the theory of the Sublime, and their effect on design methodology and architectural meaning. Prior to joining OMA, she developed an innovative multimedia project in conjunction with Sony/BMG which incorporated new digital processes using music, spoken word and film. Cynthia is now working with programmers to develop software tools and strategies for generative design. The School of Architecture is pleased to announce that Steve Badanes has been appointed the 2008 Gerald Sheff Visiting Professor of Architecture. Steve visited Montreal a month into the Winter term and delivered a lecture at the School on February 5. He will spend three weeks at McGill in March and will supervise design/build projects in the School with students in the professional Master of Architecture program, as part of the studio course Design Research and Methodology, coordinated by Adjunct Professor Howard Davies, with the participation of the Director, Michael Jemtrud, and research assistants Lian Chang and Jason Crow. Steve Badanes attended Wesleyan University for undergraduate studies and Princeton University where he received a Master's degree in Architecture. He has received grants from the National Endowment for the Arts and the Graham Foundation for Advanced Studies in the Fine Arts, as well as a Fellowship from the Association of Collegiate Schools of Architecture. He has conducted design/build workshops at the University of Technology in Helsinki, the University of Oregon, the University of Washington, the University of Miami, Ball State University, the University of California San Diego, and Florida A&M University. As a practicing architect, his commissions have included private homes, artist's studios, and the winning entry, "The Fremont Troll" in the Hall of Giants 1990 Competition at Seattle, Washington. Steve is a founder of Jersey Devil, an architectural firm perpetuating the tradition of medieval craftsmen. The firm is comprised of skilled craftsmen, architects, inventors, and artists "committed to the interdependence of building and design." Jersey Devil architect/builders live on-site during construction of their designs, which are known for energy efficiency and innovative use of materials. Steve has lectured on Jersey Devil work in 46 states and 10 countries. The work has been profiled in Devil's Workshop: 25 years of Jersey Devil Architecture, by Susan Piedmont-Palladino and Mark Alden Branch, published by Princeton Architectural Press in 1997. From Devil's Workshop: "For twenty-five years the members of Jersey Devil have been constructing their own designs while living on site in tents or Airstream trailers, and making adjustments to their structures in response to problems encountered during the building process. Jersey Devil is a name that has been attached to work by Steve Badanes, John Ringel, Jim Adamson, or any combination of the above, plus other people who have participated in their diverse projects. This loose-knit group of designer-builders has created projects that critique conventional practice, both the process of making architecture and the accepted definitions of architecture itself. Jersey Devil's architecture shows a concern for craft and detail, an attention to the expressiveness of the construction materials, and a strong environmental consciousness." As the Howard S. Wright Chair at the Department of Architecture at the University of Washington, he leads community-based student design/build projects in Seattle and co-founded the Mexico design/build program with UW professor Sergio Palleroni. During the summer he teaches at the Yestermorrow design/build school in Vermont, and he has worked in Africa with the Miami University Department of Architecture. Yestermorrow Design/Build School inspires people to create a better, more sustainable world by providing hands-on education that integrates design and craft as a creative, interactive process. Yestermorrow’s courses are specifically designed to demystify the designing and building processes using hands-on, experiential learning to teach students the art and wisdom of good design and the skill and savvy of enduring craftsmanship as a single, integrated process. The School of Architecture is pleased to announce that well-known teacher-practitioner John Shnier of Toronto has been appointed the 2007 Gerald Sheff Visiting Professor of Architecture. Shnier will be taking up his new responsibilities at McGill in March, 2007, and will be working with Professors Howard Davies and Robert Claiborne in the Design Research and Methodology studio of our professional Master of Architecture program. The DRM studio is the central component of our pre-thesis semester, and provides a structured opportunity for students to define the theoretical and research foundations for the design exercise that will lead to their thesis projects next fall. John Shnier is an Associate Professor at the Faculty of Architecture, Landscape and Design at the University of Toronto, and a Principal of Kohn Shnier Architects, a relatively small, award-winning practice whose work - large and small, built and unbuilt - has been widely published and internationally exhibited. Publications with samples of the firm’s work include The Phaidon Atlas of World Contemporary Architecture and Taschen's compendium Architecture Now, Vol. II, and exhibitions of their work have been presented in the Netherlands and Manhattan, in addition to several Canadian venues. 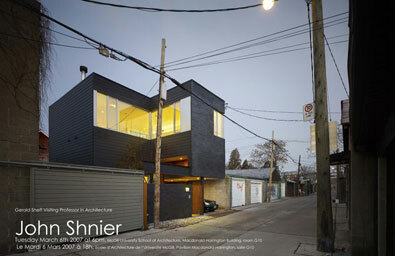 Shnier was the first recipient of the Canadian Prix de Rome in Architecture, and the firm has more recently been nominated for both the International Chrysler Design Award and the New York Architectural League Emerging Practices Award. Their portfolio of recent projects includes a new facility for the Claude Watson School for the Arts, an addition and renovation to the 519 Church Street Community Centre, private residences at Riding Mountain National Park in Manitoba and Strathallen Woods on Lake Simcoe, and a highly acclaimed laneway house in Toronto. This last project – the Urban Tree House - was described by journalist Beth Kapusta in the June 2005 issue of Canadian Architect as ‘an architectural rabbit pulled out of a hat’, marked by ‘trademark Kohn and Shnier elements of whimsy’, and perhaps most significantly, demonstrating by example ‘the need for improved planning policy that is timely, transparent, and supportive of such high-quality urban problem-solving’. Shnier is the second Sheff Professor, and is, in fact, already well-known to McGill students for his frequent contributions to our Master of Architecture design thesis program. He is an incisive critic with an uncanny ability to read intentions quickly and accurately; he is always fair, as demanding of students as he is supportive, and is one of our most popular external reviewers. The Gerald Sheff Visiting Professorship in Architecture was established in 2005 with a generous gift from alumnus Gerald Sheff, B.Arch. 64, and is intended to enrich teaching and research in our professional Master of Architecture program. It is an optimistic expression of Sheff’s confidence in the School, and his faith in the role architects must continue to play not only in the shaping of our environment, but also in the development of the policies that frame our actions. The inaugural Gerald Sheff Professor is Architect Dan Hanganu, Montreal, who enthusiastically accepted the challenge and the commitment to work with the School in the pre-thesis studio of the professional M.Arch. program. The exercise was coordinated by Adjunct Professor Howard Davies, who is responsible for the course. Dan Hanganu is one of Canada’s most talented and internationally respected architects. His projects in Switzerland, Morocco, Romania and Canada have been recognized with more than fifty major awards, including two Governor General’s Medals, ten prix d’excellence and mentions from the Order of Architects of Quebec, and le Prix Carrière Sam Lapointe of l’Institut de Design Montréal. His architectural work has been widely published, in China, Japan, India, Argentina, and throughout Europe, the US and Canada, and has been the subject of numerous critically curated exhibitions in Asia, Europe and the Americas. He has served the national and international architectural community as a juror in more than twenty-five design competitions. He has himself been extremely successful as a participant in an astounding number of competitions, having won eleven and competed as a finalist in seven others since 1986, a remarkable record of achievement in a challenging and highly competitive professional arena. Hanganu was born and educated in Romania, and has lived and worked in Montreal since 1970. His best-known buildings are located here and include le Musée d’Archéologie Pointe-à-Callière, le Théatre du Nouveau Monde, the Abbey Church of Saint-Benoit-du-Lac, l’École des Hautes Études Commerciales á l’Université de Montréal, le complexe municipal Chaussegros-de-Léry, and le Centre d’Archives de Montréal, to name just a few. His work has contributed enormously to the definition of the architectural culture of Montreal, Quebec and Canada, and it continues to draw the attention of the international architectural professional and scholarly community to this country. To his great credit, he has also, throughout his career, maintained a deep commitment to architectural education and the academy, where he has been unusually generous with his time and energy. He holds appointments at the McGill University School of Architecture and l’École d’Architecture de l’Université de Montréal, and he has lectured or taught at more than two dozen other universities in Canada, the US, Mexico, Colombia, Argentina, Chile, France, Italy, and China. Hanganu is equally comfortable, and convincing, in both the classroom and the boardroom; he is attentive and respectful, and profoundly inspiring, whether working with students, with clients, or members of the general public. The Gelber Law Library at McGill University is typical of his built work. It is clearly and legibly organized, well-crafted, dignified, and not merely beautiful but poetic; it takes its cues from the geometry of a very complex site and from a program that is centred on the user experience. Hanganu is well known for his imagination and often mischievous delight in the unexpected; he uses a highly inventive palette of materials and forms to create buildings that are, without exception, expressions of optimism and sources of pleasure and delight. Hanganu is a Fellow of the Royal Architectural Institute of Canada and an Academician of the Royal Canadian Academy of the Arts, and he holds Honorary Doctorates from Ion Mincu University, his alma mater in Bucharest, and from l’Université Laval. He was joined in March by two Sheff Visiting Critics, Kenneth Frampton, Ware Professor of Architecture at Columbia University, and Architect Bruce Kuwabara of Toronto.